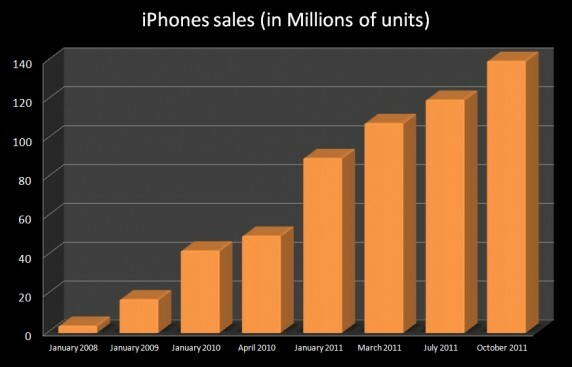 Apple has so far, sold over 140 million iPhones and more than 42 million iPads worldwide and has been an incomparable commercial success. 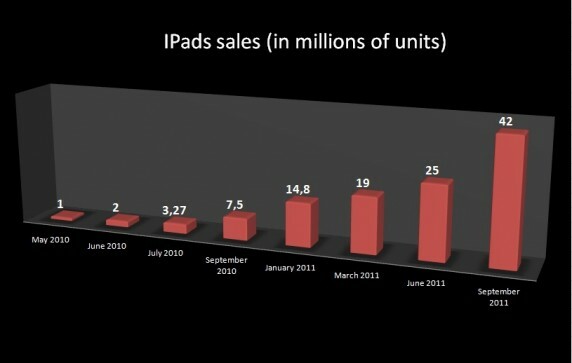 Analysts estimate that 220 million iPads will be sold until 2013. 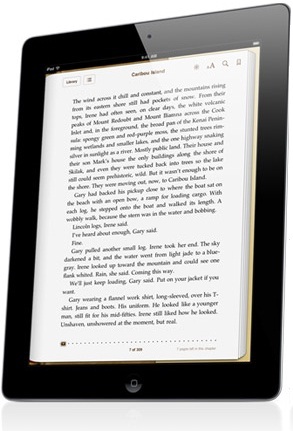 On April 12, 2011, the total number of applications downloaded by the Apple customers exceeded 12 billion downloads, there are as many as 350.000 applications available today, this includes 65.000 applications made specifically for the iPad. Each day, 30 MILLION applications are downloaded by Internet users and surfers. Apple Store for iTunes was created on July 11, 2008. On the first two days of commercial operation, the 12th and 13th of July, in just two days, 10 Million applications were sold and downloaded. The maximum sales price for an Internet surfer is set at $ 999. But the majority of applications are sold at a price ranging between $ 0,99 to $ 9,99. Applications that have a selling price in excess of $ 99 are rare. Why and how would an application be useful for you ? It would increase your International recognition and make you better known. It is not just a matter of prestige but a matter of marketing. It allows you to present and promote your artwork. It allows your artwork to be sold worldwide. It allows you to be solicited by publishers who take interest in your work. 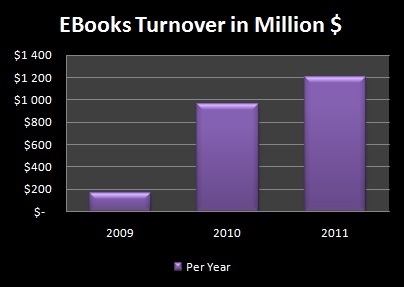 Once you join MagBooks©, you will be able to profit from its fame. You are paid royalties each time your artwork is downloaded.